Proclaimed by scientists to be the most powerful technology ever developed, nanotechnology has the potential to create products through a process imagined only in science fiction novels. Picture an object no larger than a microwave creating clothing, electronics, and food in your own home at little or no cost. It may sound outlandish, but with the use of nanotechnology it is a very real possibility. According to the nonprofit organization Project on Emerging Nanotechnologies, more than 1,000 nanotechnology consumer products were inventoried in August 2009—a 380% growth in three years. The largest category of products is health and fitness, with 605 products available as of August 2009. Some of these products include food, food packaging, and dietary supplements. But while many people are excited about their potential, others question their safety. Nanotechnology is a manufacturing technology that works with atoms to change the structure of matter.1 While Nobel laureate Richard Feynman, PhD, inspired the idea, Eric Drexler, PhD, is heralded as the scientist who unveiled nanotechnology’s potential. As a student at the Massachusetts Institute of Technology, Drexler was fascinated with engineering at the microscopic level. In the 1987 book Engines of Creation: The Coming Era of Nanotechnology, Drexler introduced nanotechnology to the public. He predicted that using nanotechnology would, among other things, produce cleaner energy, decrease pollution, reduce poverty, and improve medicine. More than 20 years later, companies using nanotechnology have created wrinkle-resistant and stain-repellent fabrics, skin care products, medical devices, pharmaceuticals and, more recently, nutraceuticals and dietary supplements. Note that a micrometer is one millionth of a meter, whereas a nanometer is equal to one billionth of a meter.2 It is roughly equal to 10 hydrogen atoms. Nanotechnologists are moving at a swift pace, and companies are rapidly filling the marketplace with nano products. Yet this technological—or nanological—revolution doesn’t come without risk. Nano products are quickly being released into the marketplace without being properly tested or researched.3 This is particularly concerning in regard to skin products, food and beverage products and packaging, and dietary supplements. Nanoceuticals are nutrients that have been manufactured into nanoparticles using nanotechnology. Even with the lack of scientific evidence regarding safety or efficacy, the number of nanoceuticals on the market has quadrupled in the past three years—from 11 in 2006 to 44 in 2009, according to the Project on Emerging Nanotechnologies. The growth trend of nanoceutical products is expected to continue. Many nutrients and phytochemicals have poor solubility, which decreases their bioavailability. Accordingly, vitamins, minerals, and phytochemicals are rarely used in their purest form, and functional ingredients are usually a part of the delivery system.4 The delivery system functions to transport the nutrient to its desired site while also influencing the supplement’s taste, texture, and shelf life.4 In theory, nanotechnology overcomes this conundrum by providing a more efficient delivery system with the use of nanoemulsions. Nanoemulsions are a class of extremely small emulsion droplets that vary in size from 50 to 200 nm.5 Previous emulsions ranged in size from 1 to 100 µm.5 A group of scientists explored the potential of using nanoemulsions by encapsulating curcumin and measuring its anti-inflammation activity in vivo in mice. To abate this dilemma, researchers from Rutgers University prepared oil-in-water nanoemulsions of various sizes to encapsulate curcumin to improve its anti-inflammation activity. The activity was evaluated using a mouse ear inflammation model. The emulsions were prepared using medium-chain triglycerols and Tween 20 (the commercial name for polysorbate 20, which is a typical molecular-biology-grade detergent) as an emulsifier with mean droplet sizes ranging from 618.6 to 79.5 nm. When tested on the mice, the administration of 1% curcumin encapsulated in 618.6 to 79.5 nm oil-in-water emulsions decreased the induced edema of the mice ears by 43% and 85%, respectively.5 Administration of 1% curcumin in Tween 20 water solution showed little or no decrease in inflammation.5 This suggests that encapsulating curcumin in nanoemulsions increases its bioavailability. This study is a good example of the potential for using nanotechnology in the preparation of dietary supplements. Yet researchers did not address the possibility of toxicity or side effects. Increasing the bioavailability of nutrients and phytochemicals may be promising but is also potentially dangerous. Mark Meskin, PhD, RD, FADA, professor emeritus of the department of human nutrition and food science at the California State Polytechnic University in Pomona, says nanotechnology may solve absorption and solubility problems with many nutrients and phytochemicals. But he notes that this is a clear example of “technology getting well ahead of the science.” Even though the use of nanotechnology in the dietary supplement industry may enhance supplement absorption, there is concern about the potential for toxicity. While upper limits are established for most vitamins and minerals, there are no upper limits set for nonnutrients such as phytochemicals. “In the past, I was less concerned about phytochemical toxicity because the truth was that in many cases, very little was absorbed,” Meskin says. “Nanotechnology raises important issues regarding safety.” He explains that nanoceuticals can help bypass typical protective barriers in the body and deliver quantities of biochemicals that the body would not naturally encounter. This makes the introduction of nanoceuticals potentially dangerous, especially when the government does not regulate them effectively. Like all dietary supplements, nanoceuticals are unregulated and can be introduced to the market with little or no evidence of safety or efficacy. 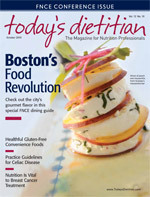 The FDA claims to regulate products, not technologies, and it expects many nanotechnology food and supplement products to come under jurisdiction of the Office of Combination Products.4 Yet the Institute of Food Science and Technology reports that nanoparticles should be treated as potentially harmful until testing proves otherwise. According to William Schultz and Lisa Barclay, authors of A Hard Pill to Swallow: Barriers to Effective FDA Regulation of Nanotechnology-Based Dietary Supplements, there are three main problems the FDA needs to address. For one, the FDA does not have the capacity to identify nano-based dietary supplements that are being developed and marketed unless manufacturers submit to the premarket notification process for new dietary ingredients. Secondly, the FDA has little regulatory authority over nano-based dietary supplements. Lastly, even if the FDA were granted authority, it lacks the scientific expertise and resources to effectively regulate nanomaterials in supplements. • Congress needs to provide the FDA with increased regulatory authority over dietary supplements containing engineered nanoparticles. • Congress needs to provide the FDA with the power to obtain more information on currently marketed dietary supplement products that contain engineered nanoparticles and then determine if and how safety testing should be performed. • Congress needs to provide the FDA with resources to sufficiently regulate dietary supplements containing nanoparticles under the new regulatory steps described previously. While nanoceuticals have enhanced health and commercial viability, there are many risks associated with engineered nanoparticles. “The fact that a new technology has been developed that can deliver these untested and unregulated chemicals more effectively is problematic at best and a real cause of concern for healthcare professionals,” says Meskin. Staying abreast of the use and safety of engineered nanoparticles in supplements is imperative for dietitians to appropriately educate consumers. The nanological revolution has the potential to solve many problems associated with dietary supplement absorption, but it does not come without risk. The United States needs to provide oversight of the development, release, and safety of nanoceuticals. Until there are human clinical trials attesting to their safety and efficacy, they should be treated as potentially harmful. — Jasmin Ilkay, MPH, RD, is a lecturer for the human nutrition and food science department at the California State Polytechnic University in Pomona and a freelance writer specializing in dietary supplements, child and family nutrition, and eating disorders. 1. Wilson M, Kannangara K, Smith G, Simmons M, Raguse B. Nanotechnology: Basic Science and Emerging Technologies. Chapman and Hall/CRC; 2002. 2. Williams L, Adams W. Nanotechnology Demystified: A Self-Teaching Guide. McGraw Hill; 2006. 4. Tarver T. Food nanotechnology. Food Technology. 2006;60(11):22-26. 5. Wang X, Jiang Y, Wang Y, et al. Enhancing anti-inflammation activity of curcumin through O/W nanoemulsions. J Food Chem. 2008;108(2):419-424.